Hello! Welcome to the first in our Sunday Morning Cocktail series, featuring homemade organic infusions made with fresh, seasonal Farmer’s Market produce. 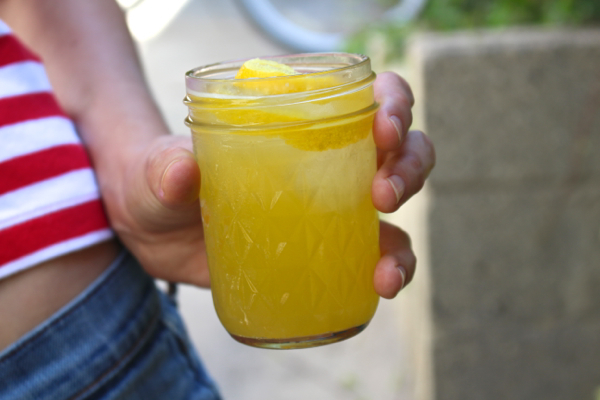 Today’s inaugural cocktail practically screams SUMMER. With its sunnybright hue and explosive citrus flavor, it’s the perfect accompaniment to a warm, lazy afternoon amongst friends. 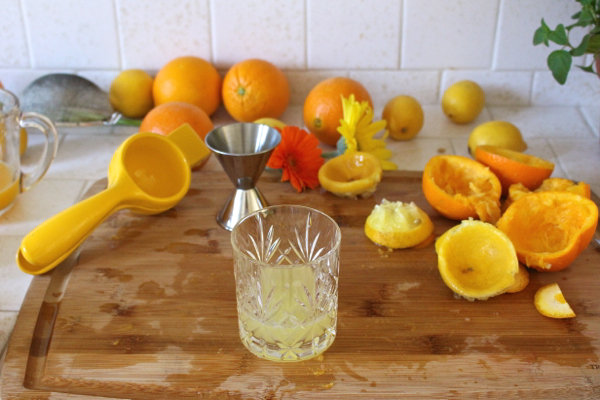 Begin by juicing your citrus. 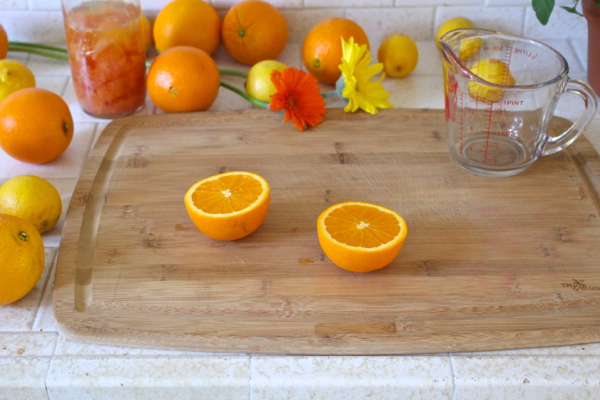 Keep your orange and lemon juices separate. 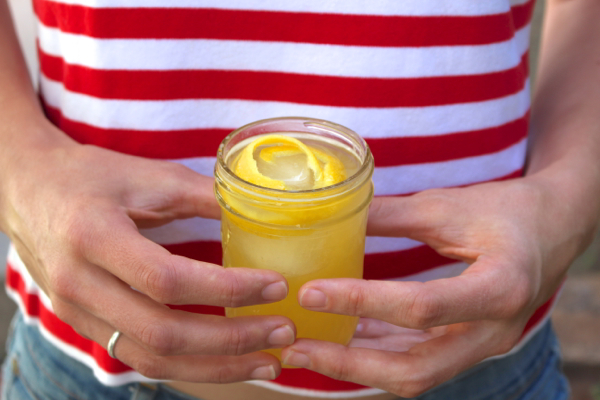 Serve over ice, garnished with a lemon twist. A sugared rim would be delightful. The awesome thing about cocktails is that they’re much more like salads than they are like pastries. By which I mean, the recipe should be used as a general guideline, as opposed to precise instructions. If you can’t get ahold of grapefruit for the infusion, any other citrus can stand in – think tangerines, mandarins, pomelos, or even limes. 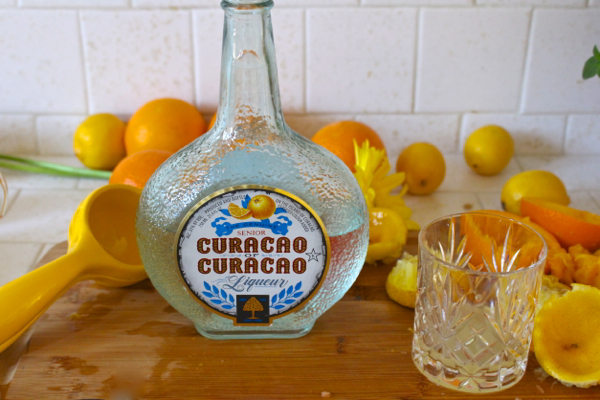 If you don’t have the Curaçao, just use Triple Sec or Cointreau. And if you really want to take it over the top, bitters always add that extra dimension to a drink. I’m partial to Peychaud’s in this recipe, but I bet this spicy blend would be wonderful as well. 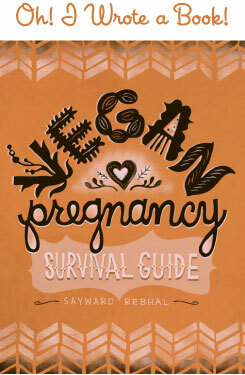 Mmmm…that sounds delicious. I bet it would be wonderful during the winter too for a pick me up. Do you think lime would be a good addition to this recipe? Whoa, so I just realized I need a red and white striped shirt, ASAP. So cute! And have I ever heard cocktails compared to salads before this post? I think not. Please continue being fabulous. 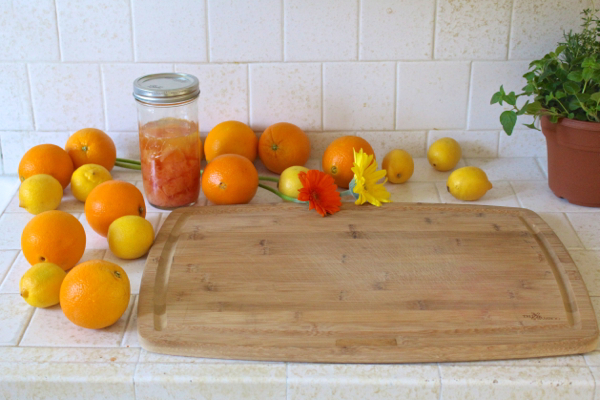 Some of my favorite posts are cutting boards covered with fresh produce! Fresh produce on the counter makes me feel ALIVE!! 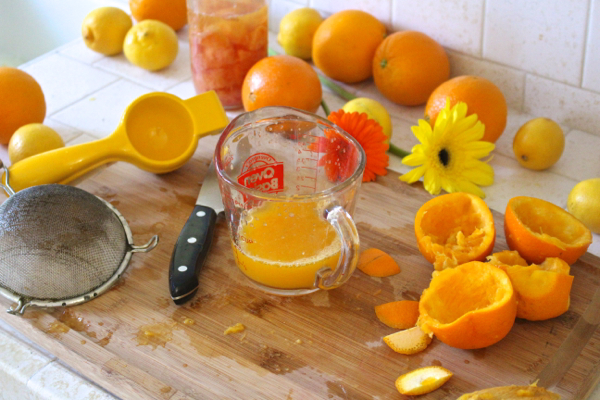 What’s the story behind keeping the juices separate? Do they react? I bet this would be really good as a blended drink. You’re right, cocktail recipes are so versatile. You could add a splash of simple syrup to sweeten it and a splash of club soda to lighten it up and serve in a tall glass. I’d possibly use Grand Marnier in place of curacao. I wonder how this would taste with Gin in place of Vodka? Experiments needed! 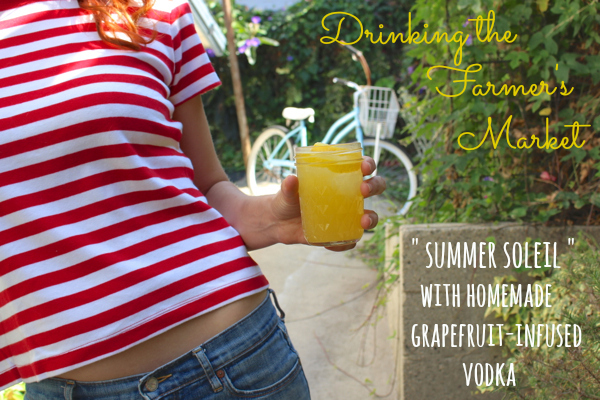 What a perfect summer cocktail!